Right after this announcement, one bloke ambles into the track-area and manages to get run-over by a speeding horse, thereby getting seriously injured in the process. b) “Aiy prize-distribution, Shri Harinder Grewal (IAS), Shri Raminder Singh (PCS), Shri Jagjit Singh (Canada), blah blah blah…” [Names are fictional]. [Translation: This prize distribution will be done by Shri Harinder Grewal (Indian Administrative Service), Shri Raminder Singh (Provincial Civil Services), Shri Jagjit Singh (Canada)]. No. Please don’t ask me when and how did ‘Kanedda’ (Canada to the uninitiated) become a designation with the Indian government. Canada and dollar-dreams are deeply embedded in the DNA of almost the entire of Punjab. Period. Gradually, I have come to believe that maybe ‘kanedda’ is the real capital of Punjab. It is just that it happens to lie outside the geographical realms of India. Before going for the event, every time I mentioned it to my friends that I am going to attend the rural Olympics, I was invariably asked: “Ohh! So there is a sports festival just for ‘gulli-danda’?” [Come to think of the irony, that there is simply no ‘gulli-danda‘ at this event]. KRSF has been on my travel-radar for quite a while now, but I have always been slightly hesitant in taking up this trip. I think, I was little apprehensive that it would be rowdy. But it is not. It is boisterous, an adjective which is inherently ‘Punjab’. Kila ‘Rapper’, as the locals say, has been celebrating the spirit of rural sports for last 81 years. Grewals, the jat-community of Punjab, that finds its origin in and around the area called Kila Raipur, were the initiators of the event way back in 1933. 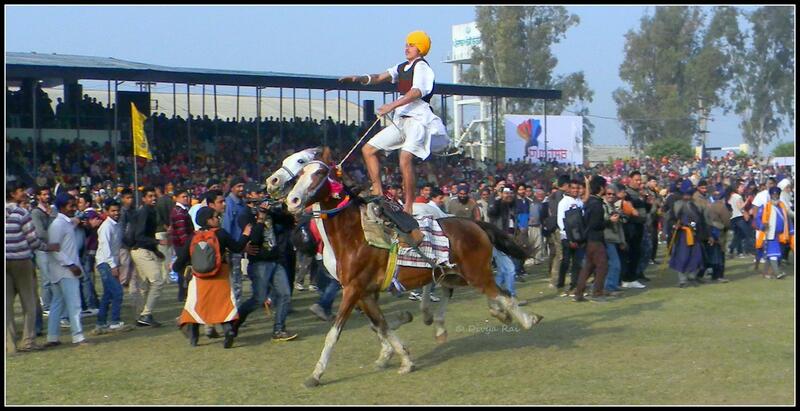 The body that co-ordinates and manages the event, called Grewal Sporting Association, is extremely proud of its rural heritage. The event, due to its rustic nature, is a crowd-puller for two distinct kinds of people. One- the locals, for whom it is an annual event of great significance. It borders sacrosanctity for the participants and this can be sensed from the way they pay respect to the ‘start-line’ before the commencement of any race. The other chunk comprises of curious artists from various mediums- photographers, videographers, documentary film-makers, bloggers – constitute the latter category. 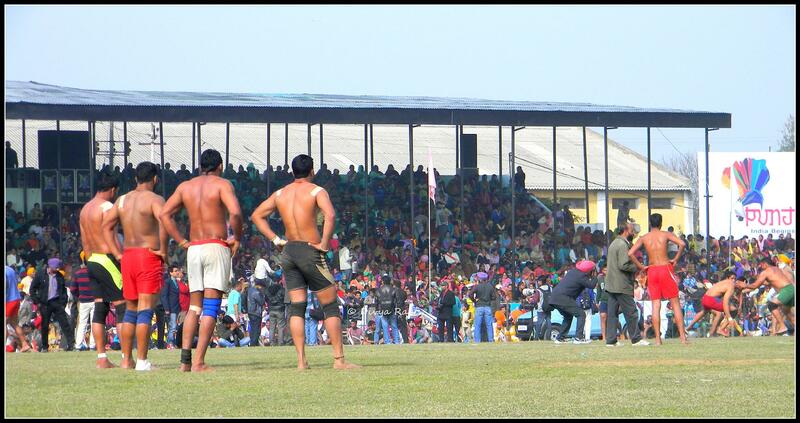 Kila Raipur Sports Festival encompasses the disparate crowd with surprising ease and effortlessness. The venue is a sports stadium, with both the ends seamlessly merging into vastness of fields that has crops sown in. This bit is on purpose, as the various races that have animals as participants, need more area to stop the follow-through of the run. Often, these animals run at great speeds and run much past the finish line, into the fields before finally coming to a halt. It was refreshing to see a sporting-event which, the likes of Coca-Cola and Pepsi are yet to corrupt. My heart did a little jig out of pure happiness! Don’t get me wrong. I have nothing against these companies (except the health factor, maybe). It is just that most of the FERA companies sponsors make EVERY event look like a clone of the other, thereby stripping the event of any individuality that it may have. At KRSF, most of the sponsors were Indian companies. A few were, predictably, the ones that manufacture agriculture-related machinery. The food-stalls at the venue were totally ‘desi’ fare. Sugar-cane juices, fruit-salads, pocket-kulcha, kinoo-juice, chaat, chai were being sold at the stalls and hand-carts that could be spotted right outside the venue. Even though these items were being prepared fresh, the hygiene level is slightly ‘iffy’ because of all the dust in the area. I can digest just about anything, so I enjoyed everything. But I suggest, please go ahead with the food-items only if your system is not too sensitive. 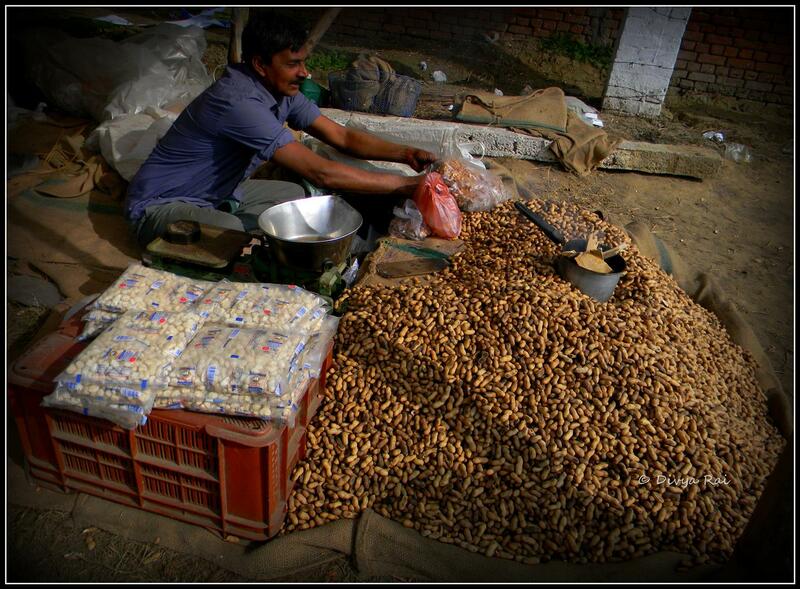 Or else, peanuts aren’t that bad! Every time I tried to gather any information about KRSF, all I could lay my hands on were the images from event. It was not very helpful in communicating about how to go about it- the stay, commute, food etc. I am putting this together, hoping that it would help the ones looking for information. KRSF celebrates the regular as well as not-so-regular sports categories with great enthusiasm. 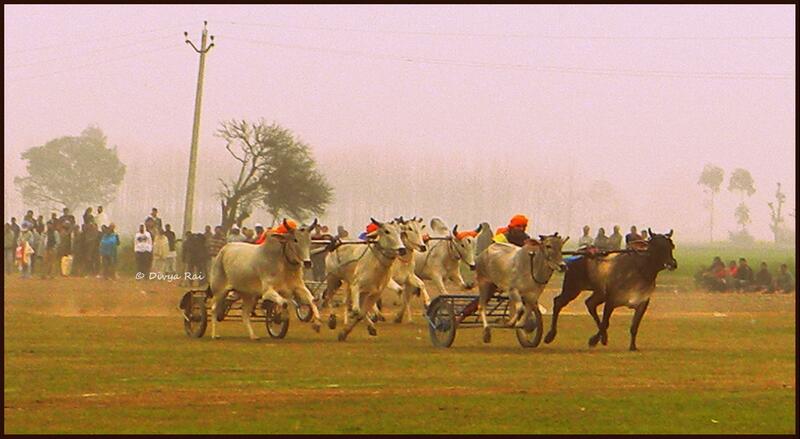 The one with the regular races like- 400m race, 200m race, shot-put throw etc for various categories and the others like grey-hound race, bullock-cart race, tractor race. The latter is something that draws influence from the rural-lifestyle. For me, the most interesting ones were the team-events like : Loading and Off-loading of tractor-trolley with gunny-bags full of grains and kabaddi. KRSF acknowledges and honors the handicapped people with great pride and successfully communicates that a human being can achieve so much if they choose to look beyond their imperfections. This person could walk only with the help of crutches, because his right leg was affected with polio. He could pull a car with his teeth! The traditional carts were replaced by a smaller attachment called ‘thokar’, to reduce the accidents due to upsetting of speeding carts. Ludhiana is the city closest to KRSF venue. It is friendly and safe. (Solo-women travelers need to be as careful as they have to be in any other north Indian city. Nothing to be be worried about though.) We stayed in a hotel called Mahal, on Ferozpur road. Decent place with delightfully clean washrooms. For me, a clean washroom is more important than the room itself. You can request for discount. We too did, and got our room for much lesser than the printed tariff. The other alternative would be a home-stay close to the venue. It will not only cut down the hassles of commuting, but would also give you a sneak-peek into the rural-life. 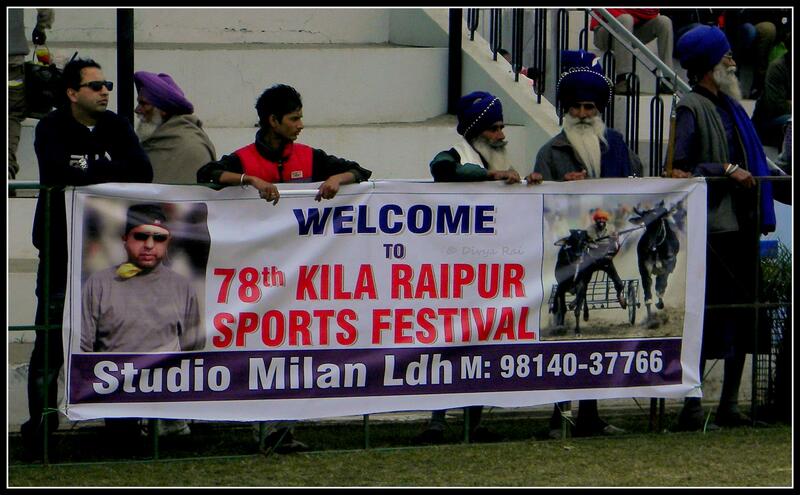 KRSF ‘s venue is at a distance of approximately 18 kilometers from Ludhiana. You can, from the main bus-station, take a local bus to Dhillon, which is at a distance of 3 kilometers from the venue. 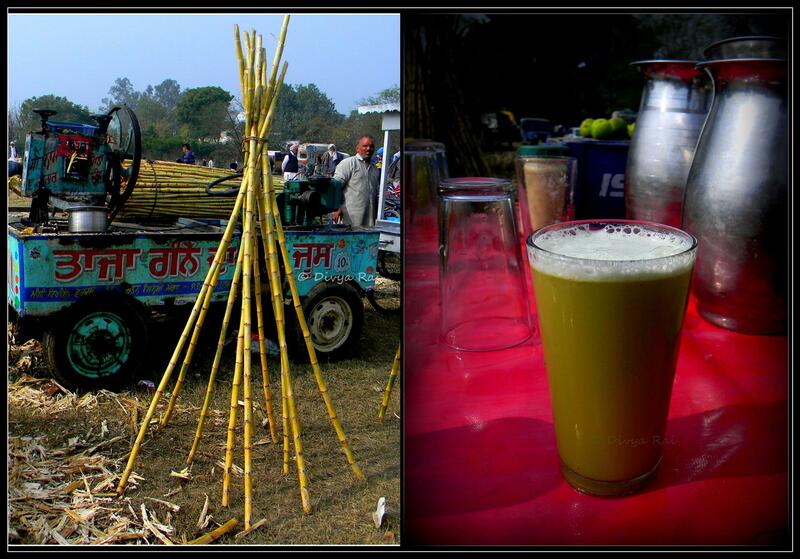 From Dhillon, you can take a shared autorickshaw (or book one for yourself entirely) to Kila Raipur Sports Festival. This drill is effortless while going to the venue, but God save you if you more than two travellers (AND have women in the group), trying to get back to Ludhiana after the day KRSF is over! The road outside the venue is nothing too amazing to get stranded at. Especially after it is dark. It goes dead, with almost no public transport. Not a soul to spot, for long duration of time. Your best bet would be to book a cab/taxi from Ludhiana for the day. This way, no matter how late you get, you’ll not have to worry about ‘how to-s’ of getting back to the town. Or do what we did. We, a group of six perpetual shoe-string travellers, booked an autorickshaw. It worked out very pocket friendly too. We paid Rs 500/day to the auto guy for pick and drop from the venue. 1) While it is important that you click pictures to be uploaded on Facebook, it is also important that you observe the event with your naked eyes. And soul. ‘Observe’ and not ‘watch’. Yes. Because ‘the want’ to click the perfect picture takes a toll on the way you experience the event. You miss a lot of action. Fixing the ISO, the shutter-speed, the mode and the aperture takes your attention away from the pre-race apprehensions of the participants, the anticipation of winning, the jubilant celebrations once a favorite participant wins, the commentary and much more. 2) Talk to the locals. They have so much to tell! Notice how emotions run high (in a positive way) for this event. Also, listen to the murmurs as the participants touch the finish line. It tells so much about how the event is h-u-g-e, for the local people. 3) Sample the local fare. 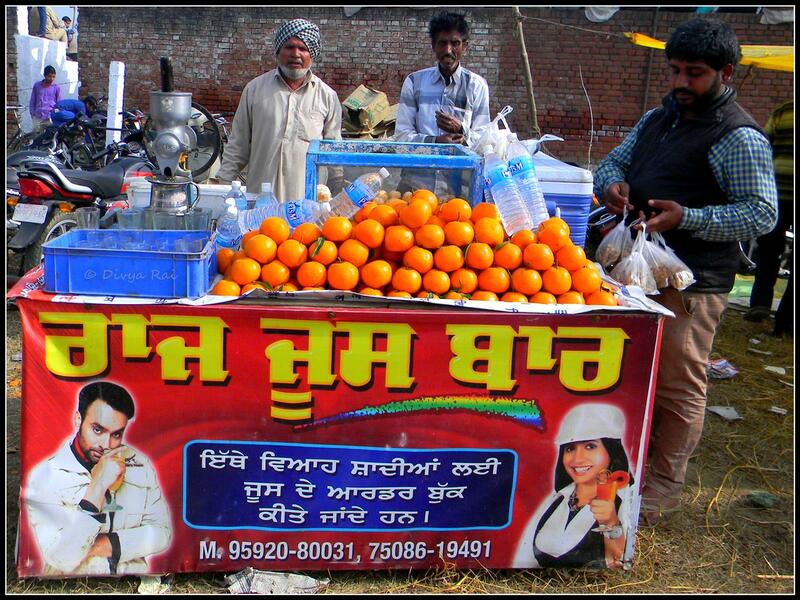 Punjab is much more than the famed Butter Chicken. As I have stated earlier too, keep your explorations within the tolerating-capacity of your gastronomical adventures. It is no fun lying in the hotel-room with an upset tummy, especially if you have travelled especially for an event like KRSF. 4) If the dust-in-the-hair bothers you, consider carrying something to cover your hair with. 5) Sunscreen is a must, despite the sneaky winter-sun. 1) Depend on the venue or its location for food. It has, practically nothing to eat if you are even slightly discerning. Carry your own food if you plan to be there at the venue for the whole day. 2) Think that every day has same events. Not even one day is worth missing. Period. 3) Crazily risk your life to get a few good pictures. Photographers, I know, would disagree. But an animal is an animal. And for events like these, often high on drugs. It makes sense to watch out and be careful! 4) Expect that this is a swanky and a sleek event. It is as rustic as it can get. If you are even slightly touristy in your travel-mannerism, please steer clear of the event. 1) It would be wonderful if the event-committee uses this platform to promote the real Punjab (maybe with the help of Dastkar etc) and have a show-case area dedicated to exhibiting/selling products that are inherently ‘Punjab’ or rustic India- Phulkari, organic agro-products, other lesser known products from the state. 2) It would be simply amazing if the event-co-ordinators can get a dedicated area designed for the photographers. It is annoying to say the least, when one somehow tries to capture the best of the Nihang performance on horses and the stadium crowd suddenly materializes in front of the camera. It would be unfair to say that the local people stay only within the seating area, because the event is organized mainly by and for them, but the photographers DO need an obstructed of the field and the track area. Check out the dare-devilry. Of the photographers. 3) The co-ordinators can consider developing home-stays in association with the rural folks, so that there is a symbiosis of benefits between the travelers and the local people. The travellers would get a sneak-peek into the rural lifestyle, while the hosts can benefit from the alternate source of income,year-round. For this, GSA can take a leaf out of Spiti Ecosphere’s book. 4) While I am sure that the GSA tries to make the event equally rewarding for all the participants, it would be wonderful, if we as viewers can contribute to the prize amount that ranges between Rs.200-400 for solo events. I understand that a monetary reward is petty compared to the efforts put in by the participants, but at times, one feels like appreciating the performances in some way which is more than just words. 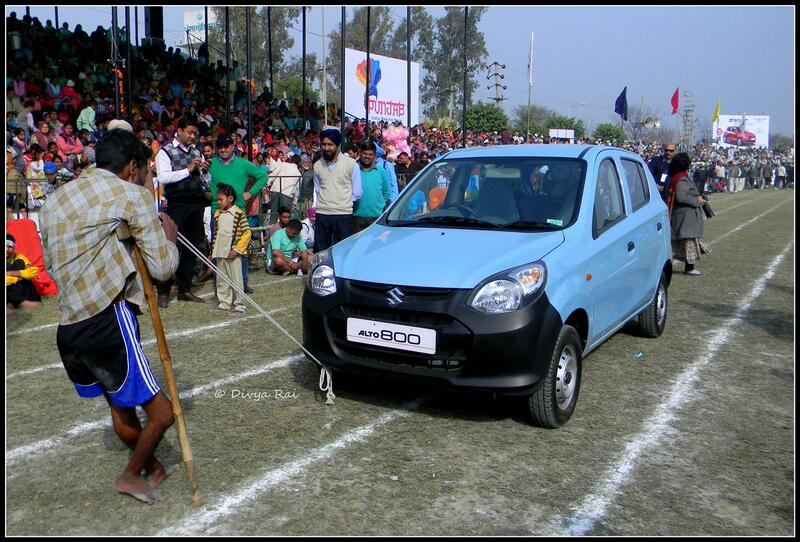 5) Lastly, how about adding ‘gulli-danda’ as one of the sports, to this event? Please feel free to write to me in case of doubts/suggestion/query. I will try to answer them as soon as possible. Meanwhile, I am trying to put together a photo-story for the KRSF event. Very well compiled post on Kila Raipur. I missed to attend the event again. And as far as Canada & dollars are concerned, I was surprised to see that almost every village in Punjab has either an immigration counter or agent, which offer facilities like passport creation, visa consultation, currency exchange etc. When I visited Phagwara, we crossed a village having 6 shops and 3 of them were – Limo on rent, Immigration services & coaching center for English speaking .